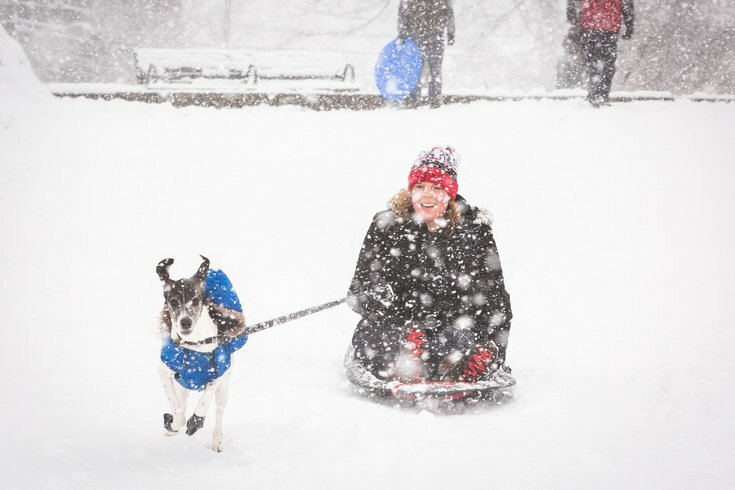 Sarah Aked gives her energetic beagle-mix Nelly some exercise at Clark Park during Wednesday afternoon's heavy snowfall. 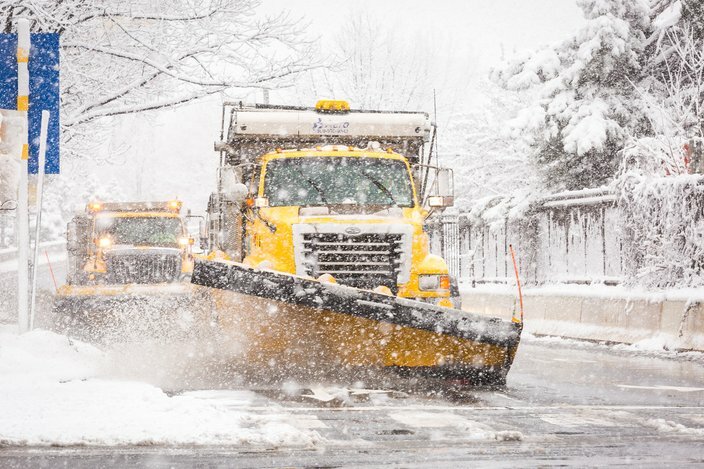 Plow trucks clean an off-ramp to I-676 at 22nd Street, Wednesday afternoon during Winter Storm Toby, March 21, 2018. 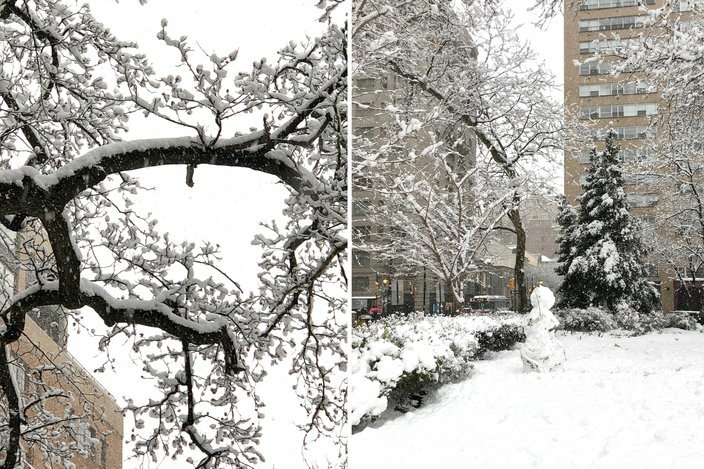 The snow makes for a picturesque scene on Rittenhouse Square. 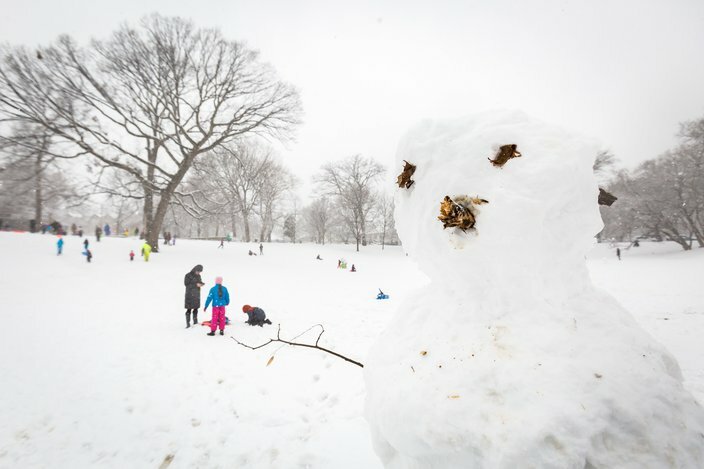 Families enjoy a snow day at Clark Park during Winter Storm Toby, Wednesday, March 21, 2018. 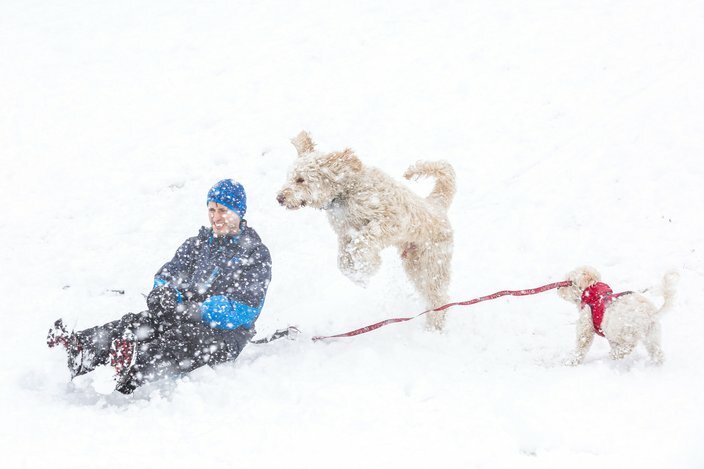 Elliot Jerud of West Philadelphia and his dog Yogi bound-down one of the hills in Clark Park, during Winter Storm Toby, Wednesday, March 21, 2018. 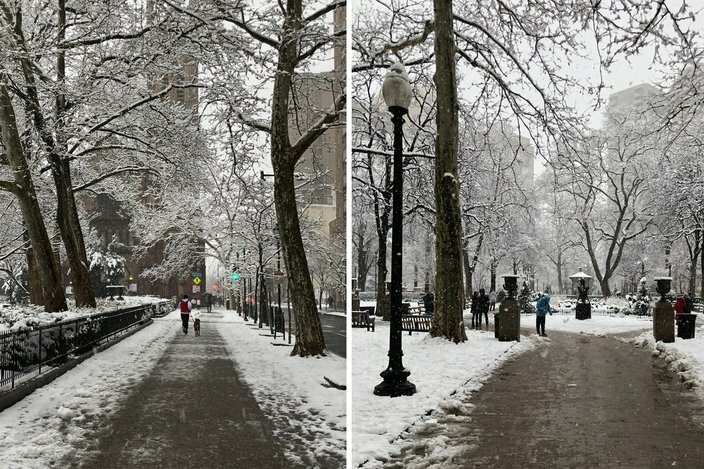 Snow covers the trees in Rittenhouse Square during Winter Storm Toby, Wednesday, March 21, 2018. 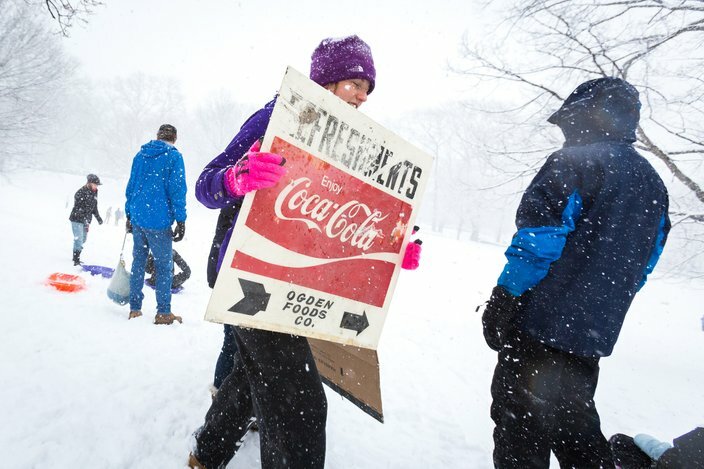 In addition to sleds and tubes, some brought plastic signs and cardboard boxes wrapped in trash bags for sledding in Clark Park, March 21, 2018. 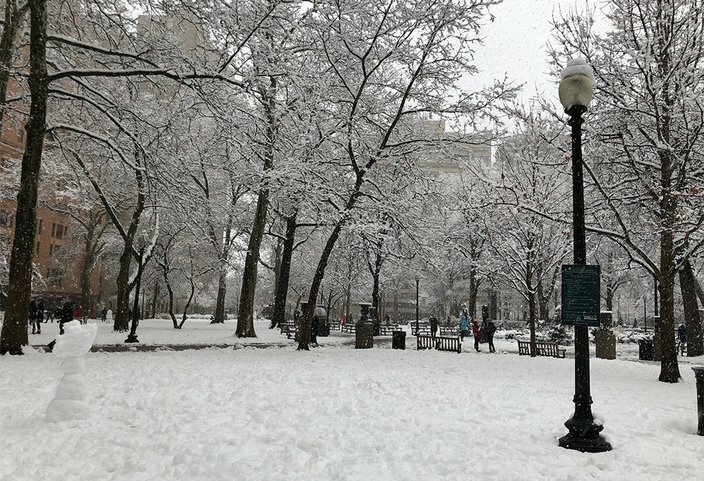 The snowy scene in Rittenhouse Square during Winter Storm Toby, Wednesday, March 21, 2018. 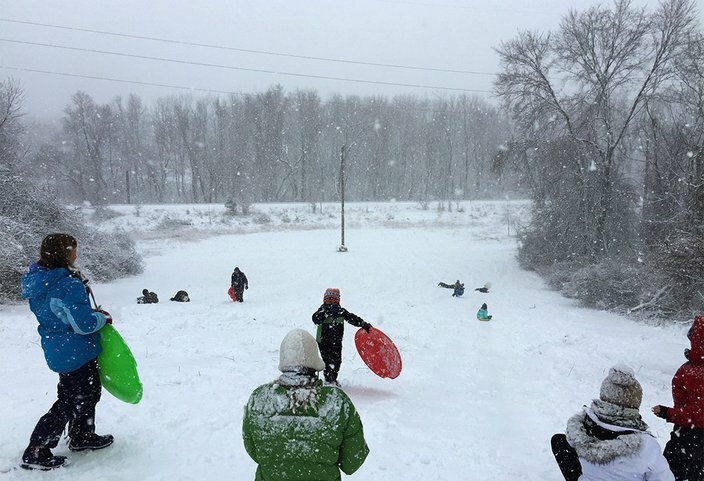 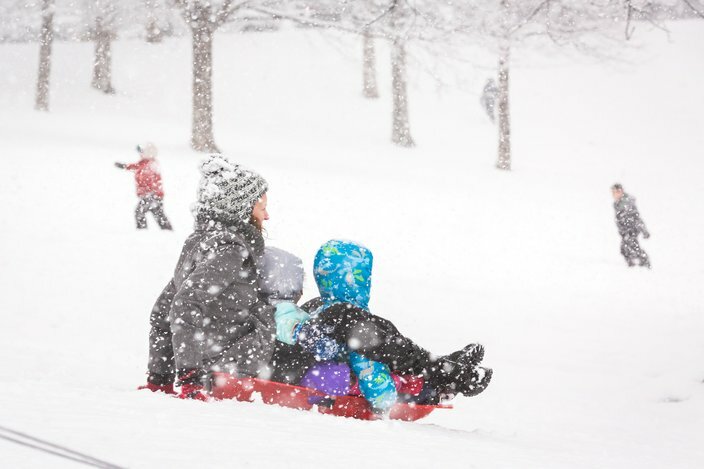 Children sled on a snowy hill at Fort Washington State Park in eastern Montgomery County on Wednesday afternoon. 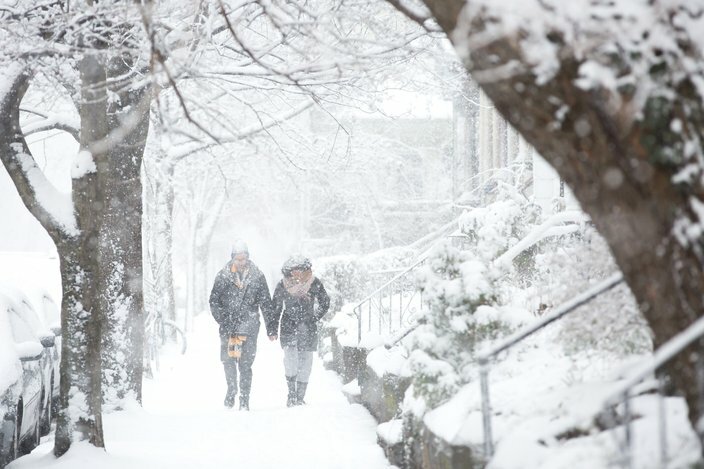 A couple trudges along a sidewalk as snow accumulates along 46th Street in West Philadelphia on Wednesday afternoon. 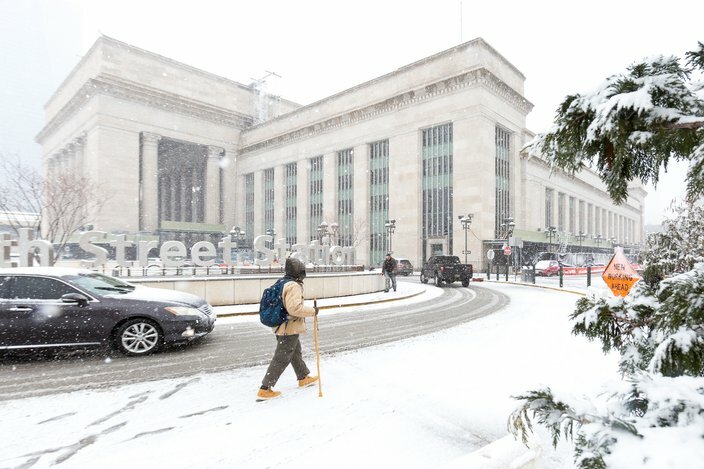 People walk near the Green Line Cafe at 45th and Locust streets in West Philadelphia, during Winter Storm Toby, on Wednesday, March 21, 2018. 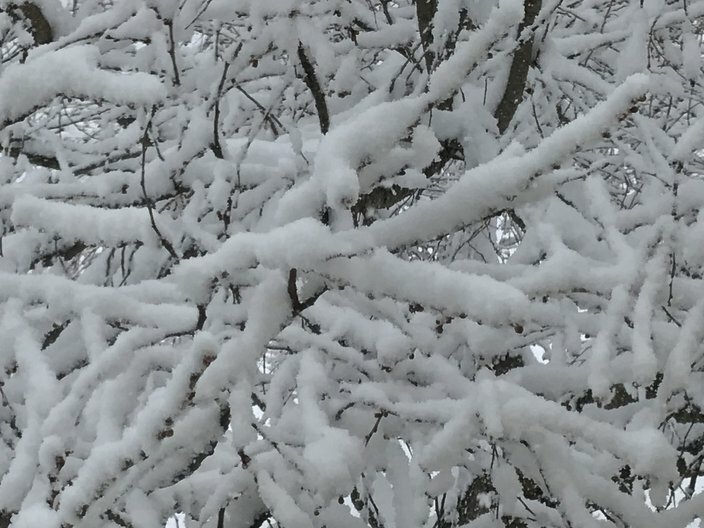 Heavy snow weighs on a tree in Montgomery County. 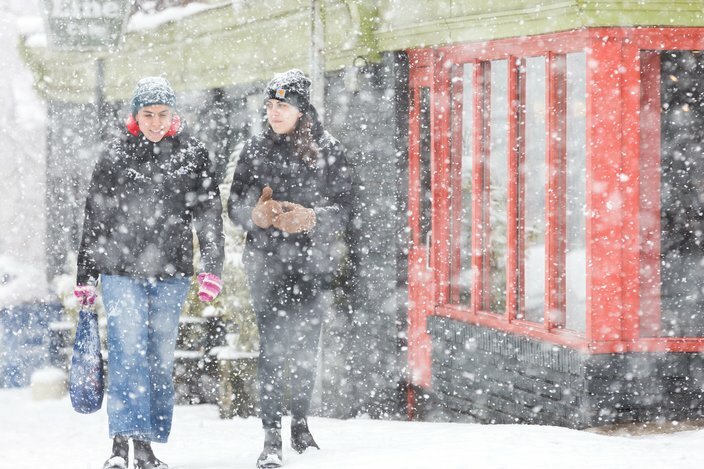 Officials warn that the nor'easter could take down trees and power lines later Wednesday. 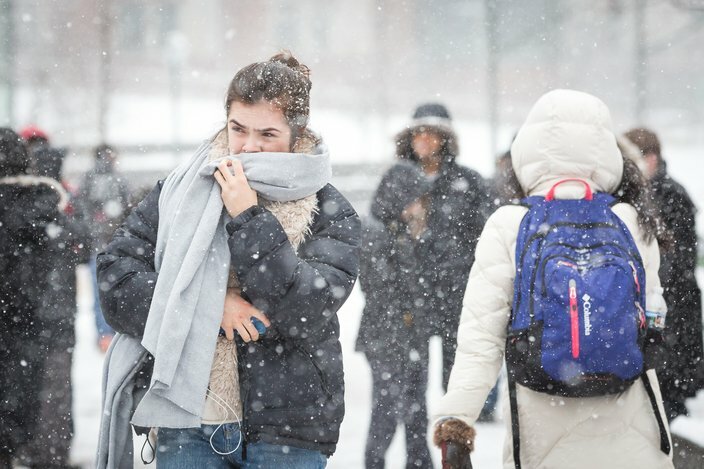 Students walk in the snow on the University of Pennsylvania campus during Winter Storm Toby, Wednesday, March, 21, 2018. 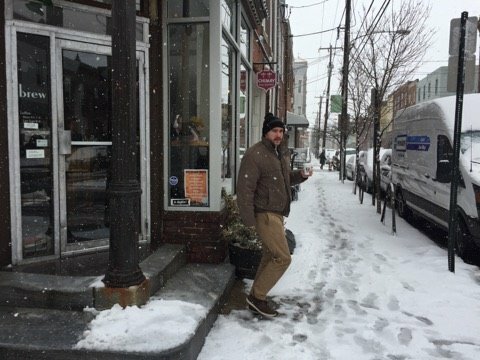 Danny Ryan, 26, of South Philadelphia, walks out of Ultimo Coffee on South 15th Street. 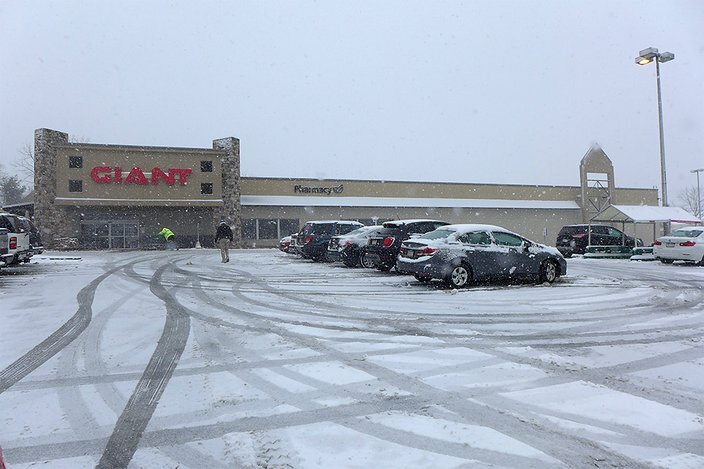 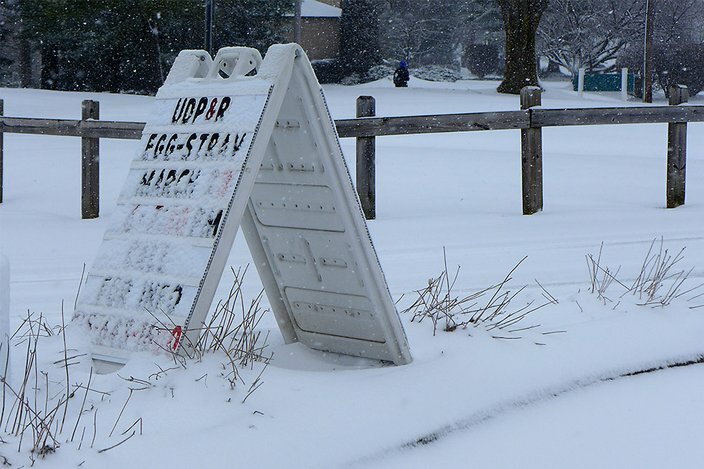 The Giant supermarket at Route 63 and Limekiln Pike in Maple Glen, Montgomery County, was staying open Wednesday afternoon for shoppers who braved snow-covered roads. 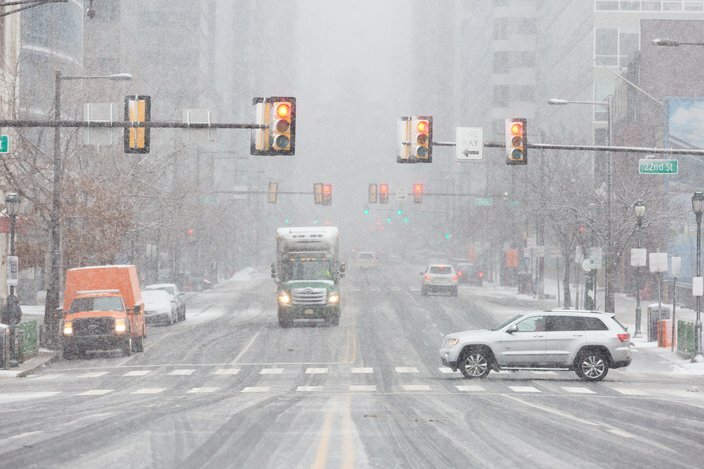 Cars drive on South Broad Street in Philadelphia in the middle of a nor'easter on Wednesday, March 21. 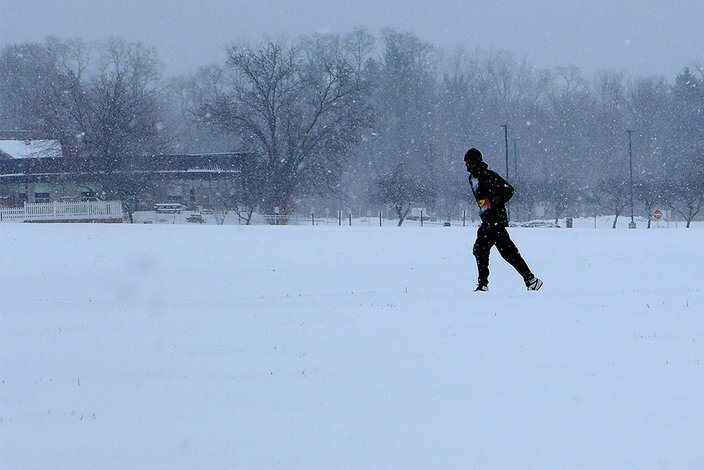 As the snow falls swiftly on Wednesday afternoon, a solitary jogger keeps to the path at Mondauk Common park in Upper Dublin. 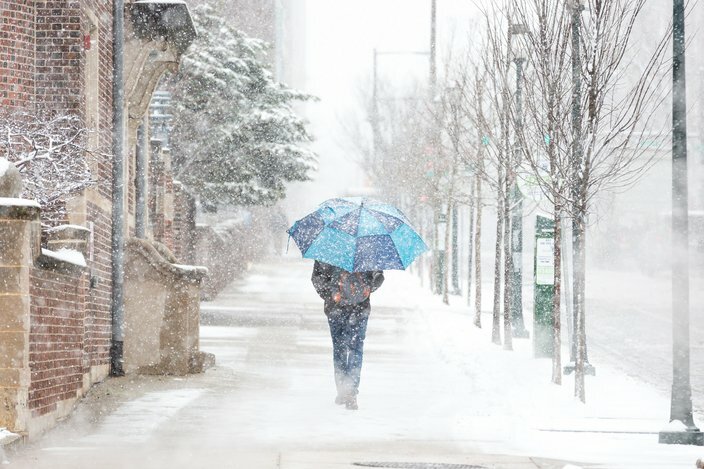 Snow covers a recently-cleared sidewalk on the campus of the University of Pennsylvania during Winter Storm Toby, Wednesday, March, 21, 2018. 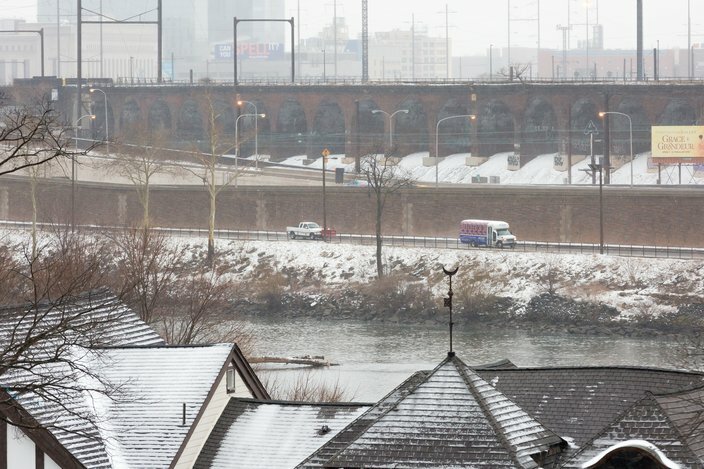 Vehicles travel on a wet Martin Luther King Jr. Drive in Philadelphia during Winter Storm Toby early Wednesday, March 21, 2018. 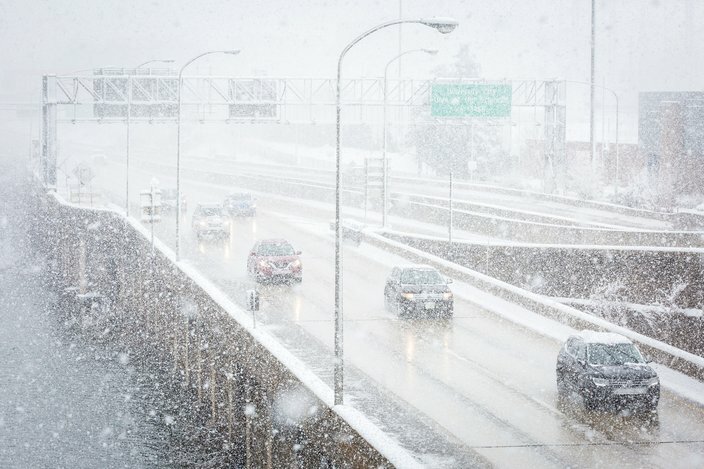 Road conditions were expected to worsen throughout the day. 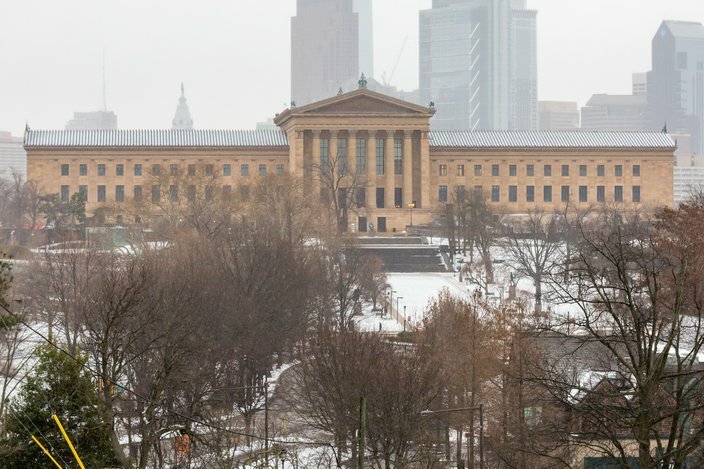 Sleet and freezing rain fall near the Philadelphia Museum of Art early Wednesday morning, March 21, 2018. 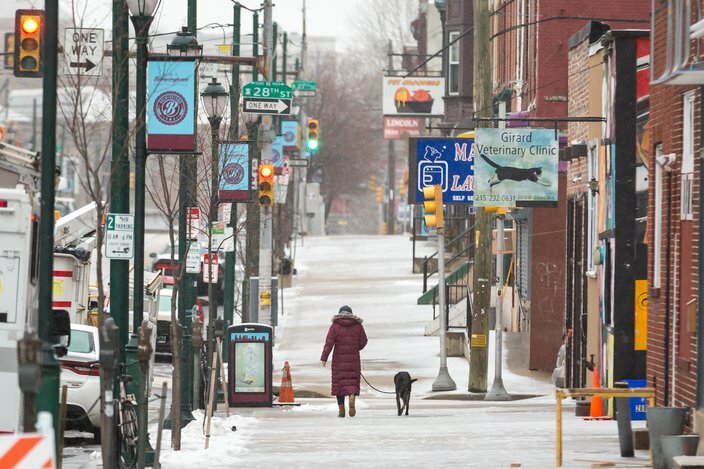 A woman walks her dog on a sleet-covered sidewalk on the 2800 block of Girard Avenue early Wednesday morning, March, 21, 2018. 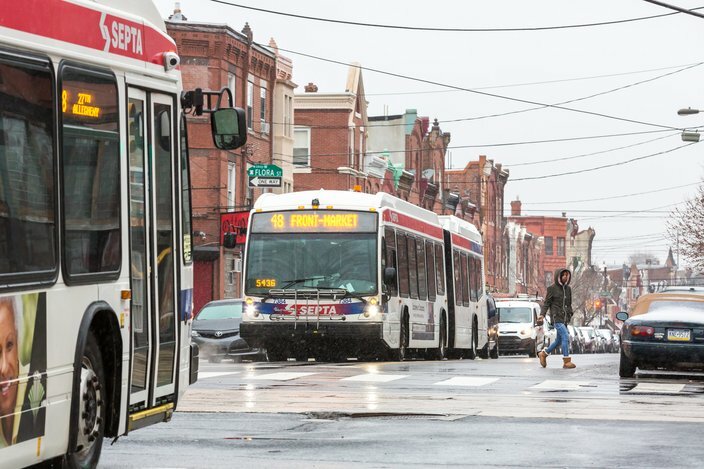 SEPTA buses move along 29th Street near Girard Avenue in Brewerytown on Wednesday morning, March 21, 2018. 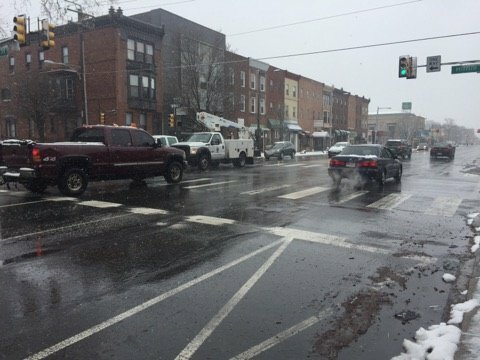 Roads were primarily wet before the snow began in late morning.